In a past life, I’m pretty sure I was some sort of lady of leisure who spent her days in dresses and taking tea with her ladies. Because if there’s two things I cannot say no to in life, it’s dresses and afternoon tea. 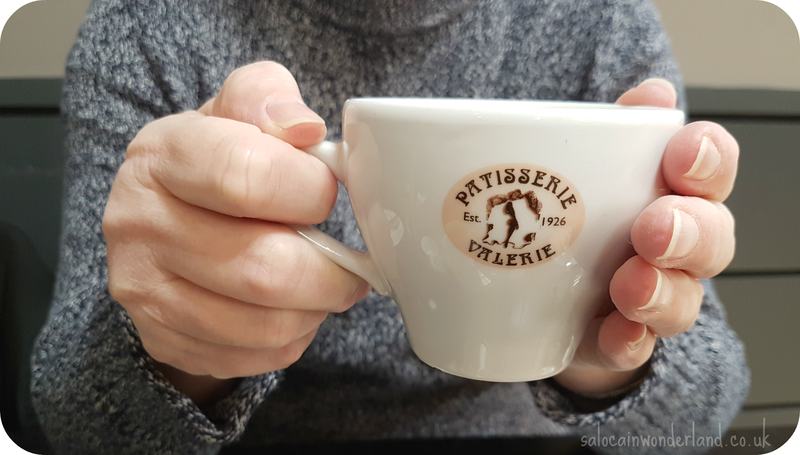 Patisserie Valerie has opened up a brand new cafe in Debenhams, Liverpool, so I grabbed the leading lady in my life, my Mum, and treated her to their afternoon tea experience. 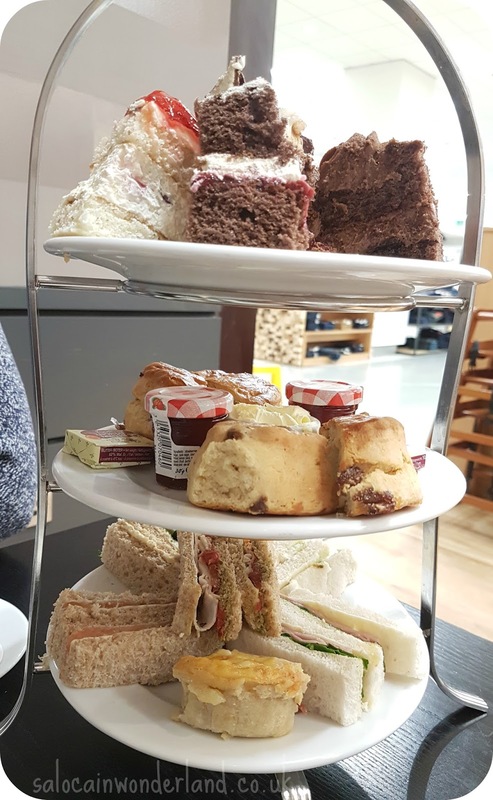 The cafe itself is situated on the ground floor in the mens department and it’s massive, much bigger than I expected and super bright - perfectly situated away from shoppers of Liverpool One - and the perfect pit stop when hitting those never ending January sales! 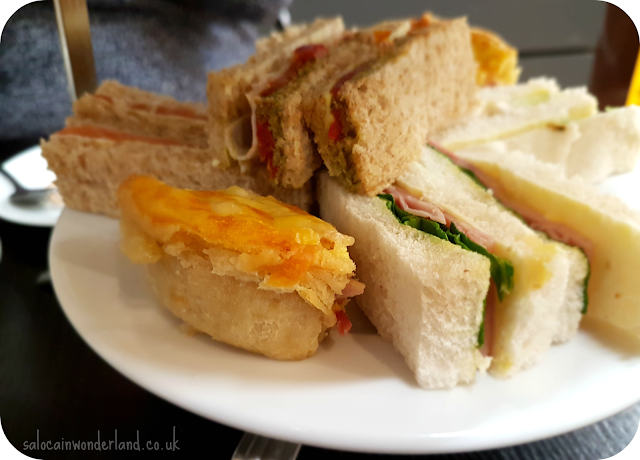 As afternoon tea’s go, £25 for two people with unlimited tea or coffee in the city centre is a very affordable price point. We ordered at the till, took our first round of loose leaf english breakfast tea, and found ourselves a seat. This was the middle of a Friday afternoon but the cafe was already looking busy. Having spoken to a member of staff, they don’t take bookings but they do recommend that you arrive before 1.30pm as they only prepare for a set amount of afternoon teas each day. We got there just before 1.30pm and had no trouble. If you’re going on the weekend or during half terms I would suggest being as early as possible! Tea poured, our afternoon tea appeared super quick! Three delightful, brimming to the full tiers of food ready for us to devour. Though designed for two, this could have easily split between three as it was seriously a lot of food! Tier 1, and we start with the sandwiches. Cucumber on white, smoked salmon & cream cheese on brown, egg mayonnaise & cress on brown, ham, spinach & mustard on white, chicken, pesto & sun blazed tomatoes on brown and finally, a mini vegetable quiche. You get two of each finger sandwich and 1 mini quiche each. The cucumber ones were on the soggy side but the smoked salmon and chicken & pesto were delicious! The bread tasted fresh and the quiche was served hot! 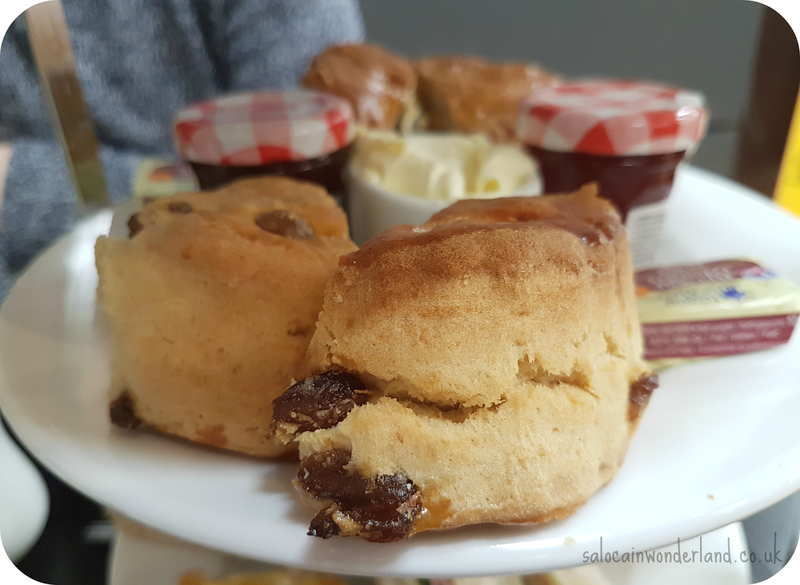 Tier 2, fresh baked fruit scones with butter, jam and clotted cream. 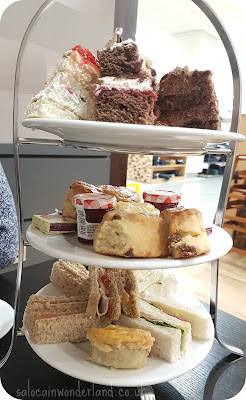 The menu said we would get two scones each, one fruit and one plain but on this occasion we only got 1 scone each but, with the amount of cake coming up on the next tier, I was happy to save some room! Tier 3, saving the best for last, it was time to get our cake on. 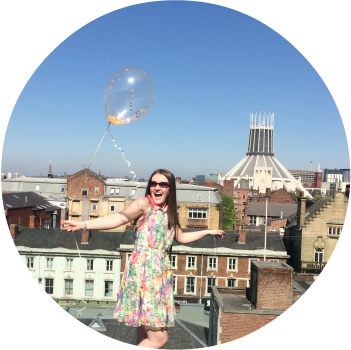 Top tip - make sure you’re wearing your big pants for this one! Our selection was very different from what was on the menu but given the size of the slices, well you will find zero complaints here. Our top tier consisted of two slices of strawberry gateaux, two slices of black forest gateaux, and two slices of their double chocolate gateaux. All were extremely rich, dense and very flavourful - I only managed two! Their black forest gateaux has always been a favourite of mine so I was super happy to see two generous slices waiting to be devoured! 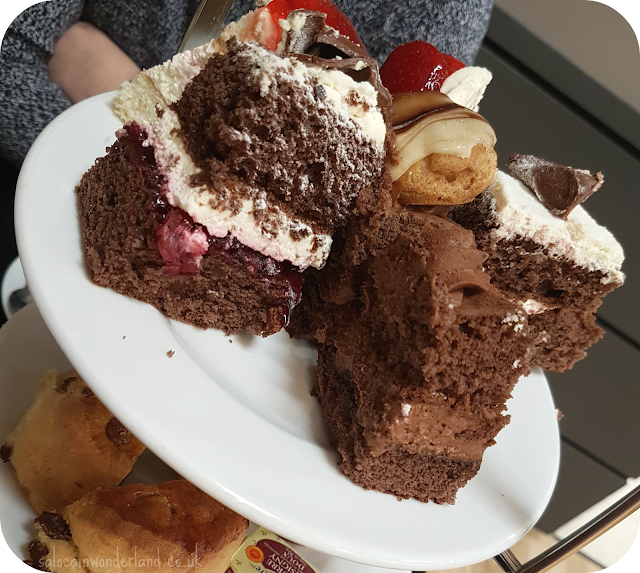 We had a lovely afternoon, taking our time over treats and tea, catching up and getting some quality mother/daughter time. At no point did we feel rushed and the staff were a delight! Everything was so laid back, it was a lovely, cosy, afternoon treat! 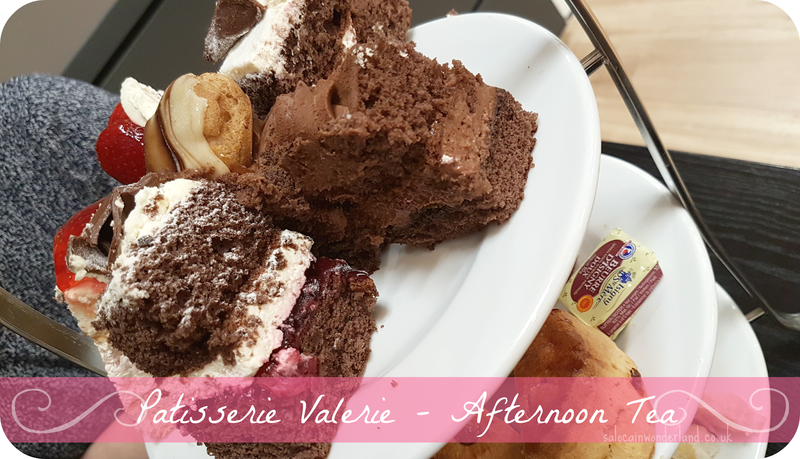 Afternoon Tea was kindly provided by Patisserie Valerie in exchange for this review. All thoughts and opinions are my own. For more information please see my disclaimer policy. Sounds great, a lovely way to spend a wonderful time with your mother. I really should not have read this before I eat my tea. haha. Everything looks and sounds so delicious. I'm heading to Patisserie Valerie soon with my mum and I can't wait to get stuck into some sweet treats. It all looks so delightfully home made! I love that. I know someone who went for an Afternoon Tea in Leeds and said it was basically kipling cakes out of the box. Ouch! I've never had afternoon tea before!